We are excited to now offer online class signup! Just click the class you want and add it to your cart! You can still call or stop in the shop to sign up as well! 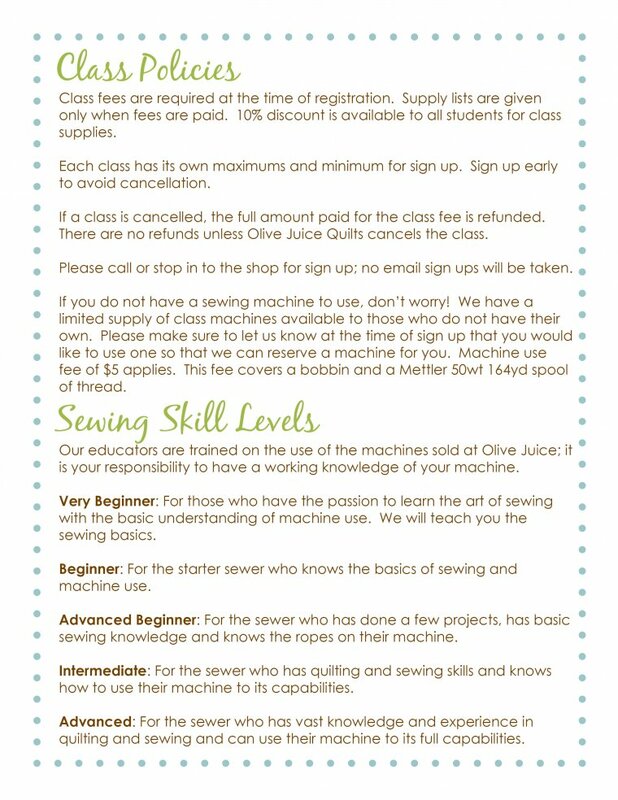 Basic sewing supplies and machines are required for all classes. We have a few classroom machines available for those who need them. Please let us know prior to the class if you need a machine so we can have it set up and ready for you. Remember...All students get 10% off class supplies! We are extending the class discount to include our Longarm Quilting Service. That is 10% off for the quilting of your class quilt! Are you ready to take your quilting to the next level? Learn how to piece flying geese in this session! In this class you will learn the entire process of making a quilt top, using the pattern Flock Together by Villa Rosa Designs. 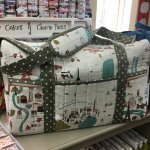 Come learn how to make this Travel Duffle Bag! 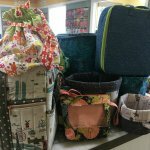 You will have to do some precutting and quilting of your pieces before class so that you will be able to get alot of the bag sewn during class! Are you ready to take your quilting to the next level? Learn how to foundation paper piece in this session! Are you ready to take your quilting to the next level? Learn how to improvisation piece (string piece) in this session! Are you ready to take your quilting to the next level? Learn how to improvisation piece (string piece) in this session! This is the sixth session of the Skill Builders Club, but can be taken on its own without signing up for the whole club! If you would like to sign up for the whole 10 session Skill Builders Club, sign up HERE! Download Supply List HERE! Are you ready to take your quilting to the next level? 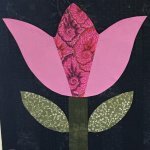 Learn how to applique in this session! Are you ready to take your quilting to the next level? Learn how to piece homes in this session! Are you ready to take your quilting to the next level? 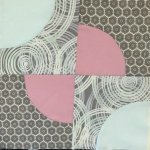 Learn how to put your blocks together into a quilt in this session! If you love Lella Boutique fabric and patterns, or you just want to explore some thing new and fun; this is the club for you! You can follow along with the featured club projects, or you can bring your own Lella Boutique project to work on. All handwork, all relaxing, and all addictive! Slow Sewing includes: English Paper Piecing, needle turn applique, back baste applique, wool applique, and whatever else sparks our interest! 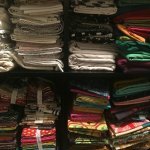 ?Hello, my name is Timothy and I?m a fabric addict.? Come on, admit it - you are, too! This zealous group will take the first step in admitting they have a growing stash and that steps need to be taken to resolve it. Members will have 11 months to complete five required throw-size quilts (can easily be adjusted for larger sizes) and then have the opportunity to complete other optional stash projects using five patterns selected for them or using up those kits or bundles purchased in the past. The Embroidery Club meets the 4th Thursday of each month from 4pm to 8pm and is for all makes and models of embroidery machines. The focus of the club will be more open sew/embroidery, but there will be some discussion of new techniques and tips and participants are more then welcome to bring any questions or problems to be worked out! 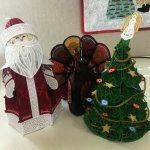 Plus, enjoy a savings of 25% off your embroidery supplies on Embroidery Club Day! Are you ready to take your quilting to the next level? 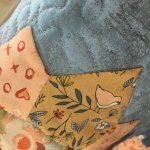 Enhance your quilt making by joining us for ten sessions of skill building techniques. We?ll tackle triangles, curves, applique, paper piecing, and MORE. At the end, you?ll have created a nine-block sampler quilt. You have requested and we will be granting your wish! Join our Bag of the Month Club to learn all about bag making! We will be working on 9 different bags over the year. Bags will range in difficulty from beginning to end as your bag making skills develop. Carol Hoff, Colleen Schultz, and Nancy Reader will be the instructors for this club.